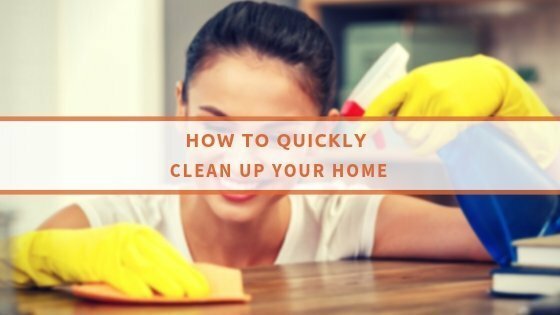 How to address a strong musty smell at home? A strong musty smell in your home can be quite bothersome. Not only is it enough to make you sick, but it is also indicative of a bigger problem, most likely mould. Your domestic cleaning efforts should include all means necessary to deal with this issue as quickly as possible. There could be various causes for such smell. Most likely it is mould, but there are also other reasons. Potentially, it could turn out to be a structural leak, in which case you need to contact some plumbers to investigate. Sniff around to see where the smell is coming from – the first thing you have to do is sniff around to see where the smell is coming from. You will be able to determine what is causing it. If more rooms are affected, maybe it is a structural leak, or if there is only one room, there could be black damp on the walls. Locate the source – if the smell is more localised, you should be able to find the source quickly. At times it could be a damp cloth left from your previous cleaning session, or it could be moisture under the cupboards. If you cannot deal with the issue on your own, or it is something out of your league, like a leak or black damp, you might need to call in the experts. Open all windows – properly ventilating the affected rooms is a must. You must open all windows and doors so that some fresh air can circulate the room, assuming it isn’t too cold out there. Often lack of ventilation is enough for the musty smell to develop. You can also open shut-in places like your cupboards and cabinets. Use lemons as an air freshener – lemons are a great natural solution for getting a fresh scent at home. You should peel them and boil the peels in a pan. Once their fragrance is released, remove the pan and place it in the problem area. A fan can help circulate the aroma around the room. You can also fill a spray bottle and spritz around to spread it. Baking soda absorbs smells – one more natural solution for a bad smell problem is baking soda. It works wonders for small and confined spaces, such as the closet for example. Put out a plate full of baking soda and let it sit there for about a day. Thoroughly dust around – bust out every dusting tool you can find and use it. Going over all of the surfaces to remove accumulated dust is necessary. You must also go over hard floors, just to ensure that dust isn’t the primary cause of the musty smell. By following these steps, you can deal with a musty smell. Stay on top of your domestic cleaning chores to avoid problems in the future.